Over the next few months Practitioner Lodgment Service (PLS) will replace Electronic Lodgment Service (ELS) as the primary electronic lodgment channel to the ATO. PLS lodgments will need to be made using Standard Business Reporting (SBR)-enabled software. ELS is an electronic online system that enables registered tax agents to lodge income tax returns and other forms, as well as create reports to assist with managing workloads. It is the current electronic lodgment channel used to deliver information to the ATO. This technology is over 30 years old and pre-filling is limited to income and BAS forms. PLS is the new way to lodge information and forms to the ATO. This new electronic lodgment channel will gradually replace the current ELS, and the software you use in your practice will be progressively updated to be PLS ready. ELS will remain available until 31 March 2017 to ensure you still have access to an online service as many software companies are still transitioning to PLS lodgment. SBR is an Australian Government initiative designed to simplify business-to-government reporting. It simplifies and reduces the amount of time and cost associated with preparing and filing forms to various government agencies, and allows for pre-filled forms by various government agencies. The transition to PLS involves making sure your software is SBR-enabled. SBR is built into business and accounting software, and you may already be using SBR-enabled software to lodge activity statements. report through a single online channel. access to pre-fill reports with the most up-to-date information. Your software provider will let you know when they expect to make this software available to you, and what you need to do to make the transition. 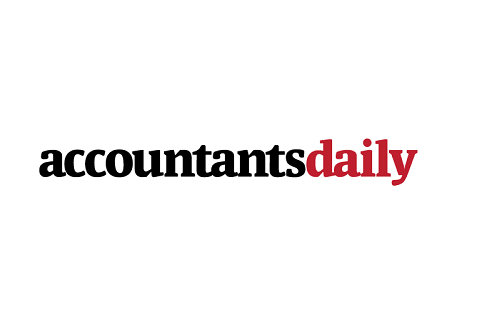 What does this mean for tax agents and accountants? Stability is currently not where it should be, and the ATO is working hard on improving the SBR system. To safeguard against potential issues in 2016, ELS will remain available until 31 March 2017. However the reality is that ELS will be ‘switched off’ after 31 March 2017 so it is essential that your accounting practice software is currently lodging using PLS so that they have tested the solution by the switch-off date. The best way to ensure that your software will be ready is to get in contact with your software company and ask about their PLS roadmap. A practice and tax software solution such as Software Assistant has a clear roadmap towards PLS. Tax Assistant, a fast and easy way to create, lodge and track tax returns, enables lodgment of tax returns using either ELS or PLS (Software Assistant is SBR-enabled). This ensures that come 31 March 2017, Software Assistant’s PLS solution will have been tried and tested. It means that you don’t have to worry about the electronic lodgment technology and you’ll have the confidence to know your software is ready for PLS lodgment.